Looks like it’s good to go after maybe 90 minutes and, after much longer, it settles to 10 MHz +36 Hz, for a correction factor of 0.9999964 on those days when you’re being really fussy. Basically, trigger the scope on either trace, crank the JDS6600 frequency in 1 Hz, then 0.1 Hz steps, until the traces stop crawling past each other, and you’re done. It’s worth noting you (well, I) must crank eleven 0.01 Hz steps to change the output frequency by about 0.1 Hz around 10 MHz, suggesting the actual frequency steps are on the order of 0.1 Hz, no matter what the display resolution may lead you to think. 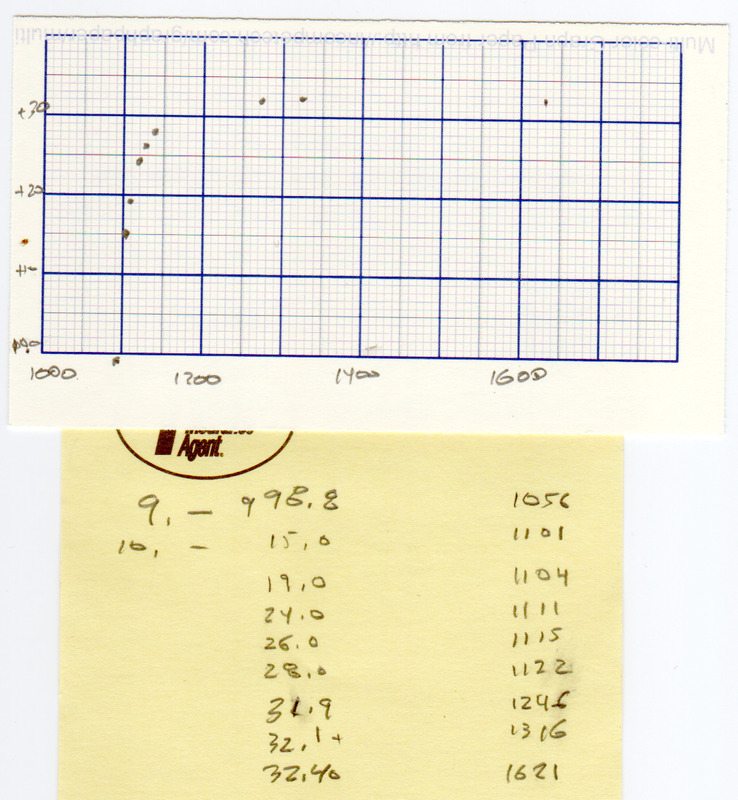 The AD9850 step size worked out to 0.0291 Hz for the LF crystal tester. 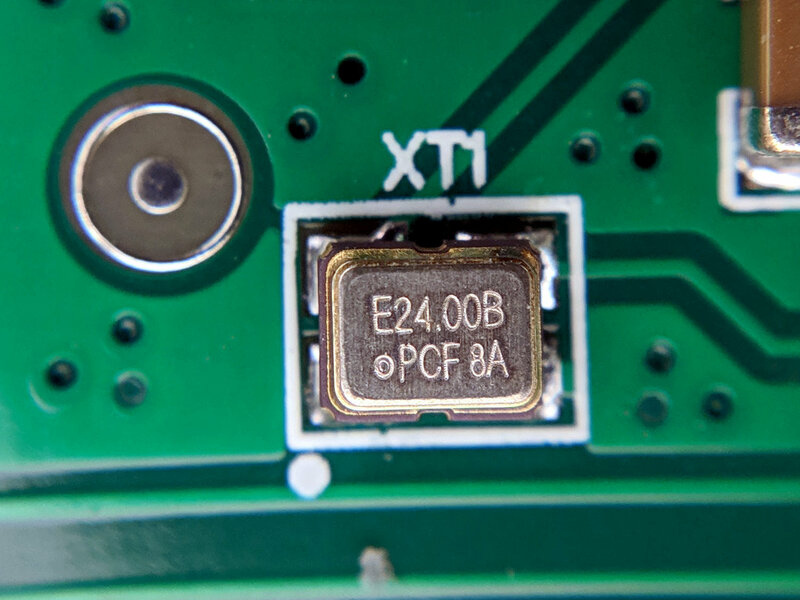 A 24 MHz clock would produce a 5.7 mHz step size, but that’s obviously no what’s going on. More study is indicated. 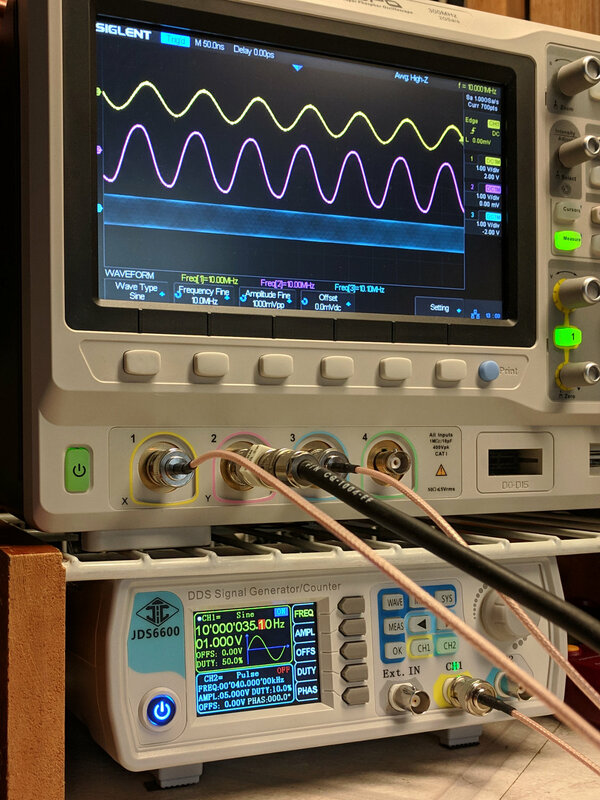 The scope’s function generator actually runs at (9.999964 MHz) × (0.9999964) = 9.999928 MHz, a whopping 72 ppm low. 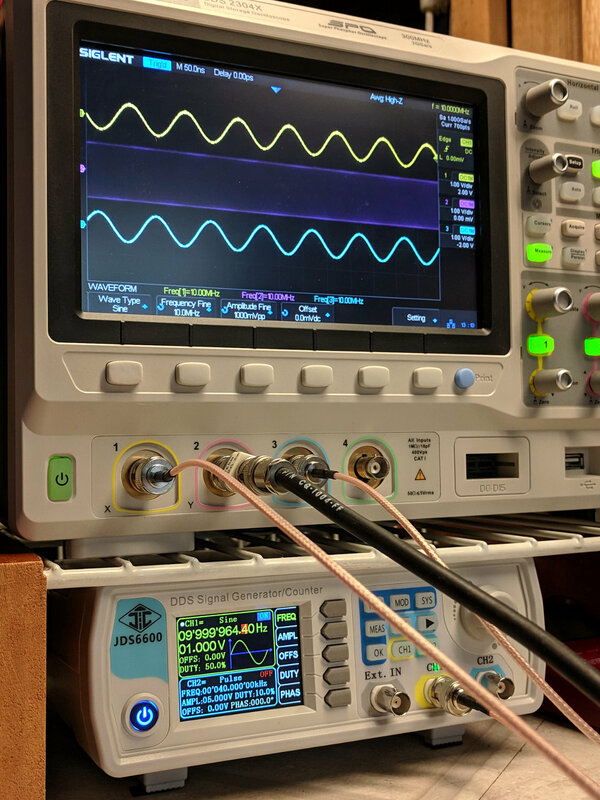 The on-screen frequency measurements don’t have enough resolution to show the offset, nor to zero-beat it with the Z3801 input, so it’s as good as it needs to be. The Z3801’s double-oven oscillator takes a few days to settle from a cold start, so this wasn’t an impulsive measurement. Having the power drop midway through the process didn’t help, either, but it’s March in the Northeast and one gets occasional blizzards with no additional charge. This entry was posted on 2019-03-18, 07:14 and is filed under Electronics Workbench, Science. You can follow any responses to this entry through RSS 2.0. You can leave a response, or trackback from your own site. I feed a GPS base 10Mhz and Osc under test like Rubidium unit to a SBL-1 equivalent and the IF out to a center zero analog (big) meter and try to get them synced with minimum drift of the needle. How about a power-line frequency meter with a row of vibrating tines?